Historical Note: The earliest stone in this cemetery is that of Frank Lund, son of Lewis and Lena Lund. He died December 25, 1882. Directions: From Leonardville, take Barton Road, Highway 24, west four miles to Lasita Road, County 873. Turn right (north)and go five miles. 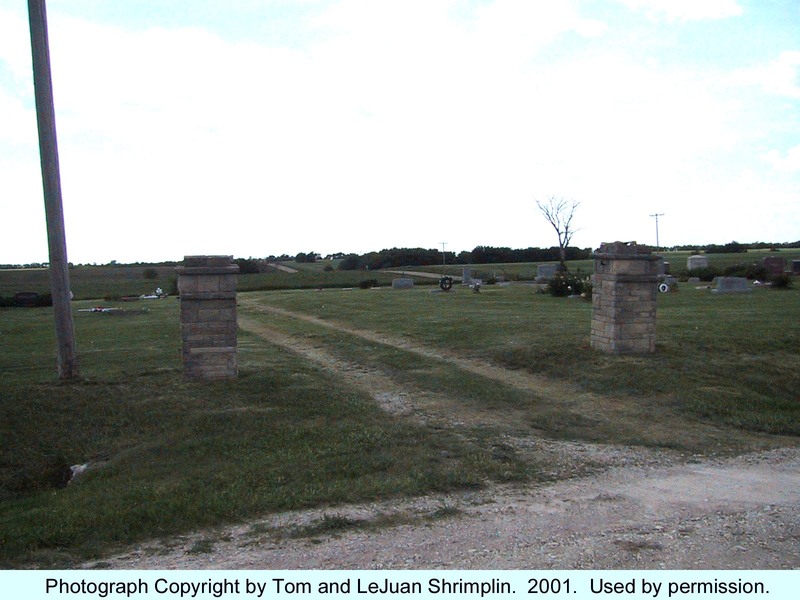 The cemetery is at the southwest corner of the intersection of Lasita Road, County 873, and Green - Randolph Road, County 378.